Krzysztof Janowicz, Assistant Professor for Geographic Information Science (GIS), has been presented the University of California, Santa Barbara 2014-2015 Plous Award. This recognition is awarded to assistant professors who have conducted exceptional research, and contributed excellent teaching methods, creative accomplishments, and overall value to the intellectual community of the campus. 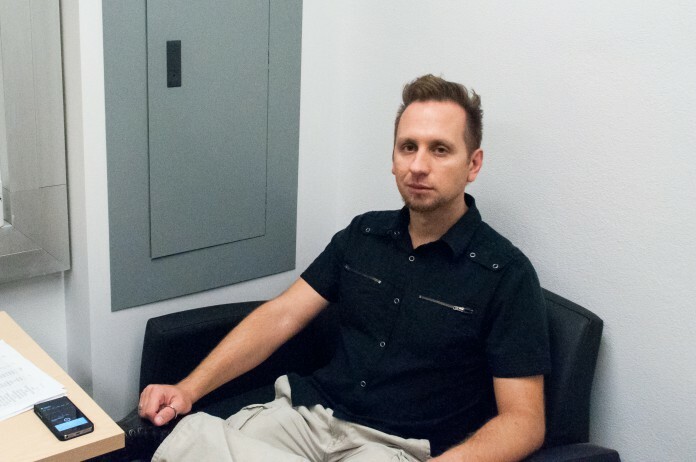 Janowicz came to UCSB to oversee the STKO lab at UCSB for the Department of Geography’s GIS area and to fill the role of assistant professor, following his Ph.D at the University of Munster and a year of professorship at Pennsylvania State University. He teaches courses focusing on maps, spatial thinking, and software engineering geared towards geography. Among his other titles, he is the program chair for the Cognitive Science Program, co-editor and founder of the Semantic Web Journal, community leader of the 52° North Semantics Community, and a Faculty Research Affiliate of the Center for Information Technology and Society. Janowicz has a vast range of published works: a multitude of short papers, web and journal articles, and three books. Additionally, he had a previous role as the head of a software engineering and consulting company in Germany. The Space and Time for Knowledge Organization, or Spatio-Temporal Knowledge Observatory (STKO) lab, headed by Janowicz is comprised of Ph.D students: Grant McKenzie, Yingjie Hu, Song Gao, Bo Yan, Marcela Suarez, Jiue-An Yang, Yiting Ju, Blake Regalia, Li Gong, and Su Yeon Han. The team strives to create easy access, retrieval, and use of information via technology. The lab develops software, documents their work in the form of papers, and creates data for public use. One of Janowicz’s focuses involves using time to create predictive models of space, especially relevant in social media applications such as Yelp, Four Square, and Google Maps. It is then possible to examine the categories of locations that people frequent, not the specific locations. GIS itself can use semantic web ontology technology to study retrieval and use of information. For example, it can determine the best placement for a fire station to maximize range of access; Janowicz is particularly intrigued by the variation in definitions of places throughout the world, which makes retrieval and coding of information more complex. The definition of a forest, for example, can vary throughout the world by different specifications such as tree height, tree population, and tree width. Janowicz laments the difficulty in searching for scientific information on the Internet and is working to ease this process. He wants to create an observatory to explore what he calls ‘the second universe’ or ‘the universe of data,’ and hopes to stay at UCSB to further his work. This is the study of web science, which is concerned with the exponentially growing amount of data in the world and the desire to connect and analyze it.